This is an older photo of my bread box. I bought it a long time ago at a craft show. It was dark stained pine when I purchased it. It has been painted several times. I think red and light green first to match some jadeite I had in my kitchen at the time. Then I painted it black when my kitchen chair were painted black. When I went with more of a farmhouse look in my kitchen, I painted the bread box with Annie Sloan Chalk Paint in Old White. I wanted to stencil the bread box but the "Bread" engraved on the front door always stopped me. Well DUH. Why not flip the door around? The inside of the door was flat. So I repainted the bread box with Rust-Oleum Chalked Paint in Chiffon Cream and stenciled the door on the diagonal with the *Old Sign Stencils buffalo check stencil. 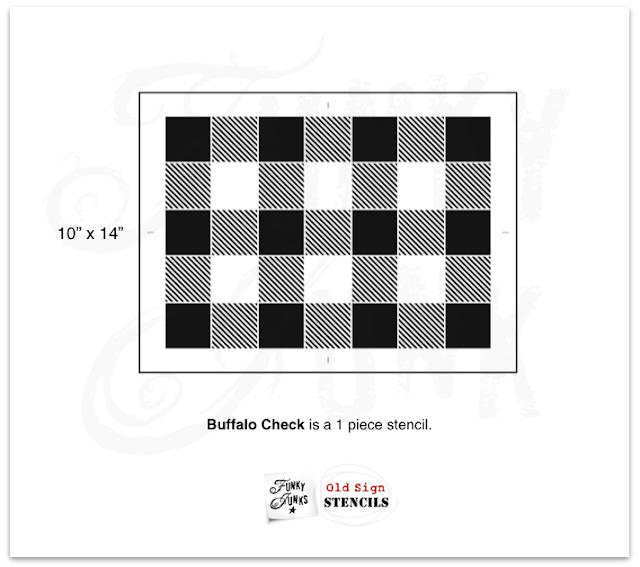 I used Fusion Mineral Paint in Coal Black to stencil the checks. 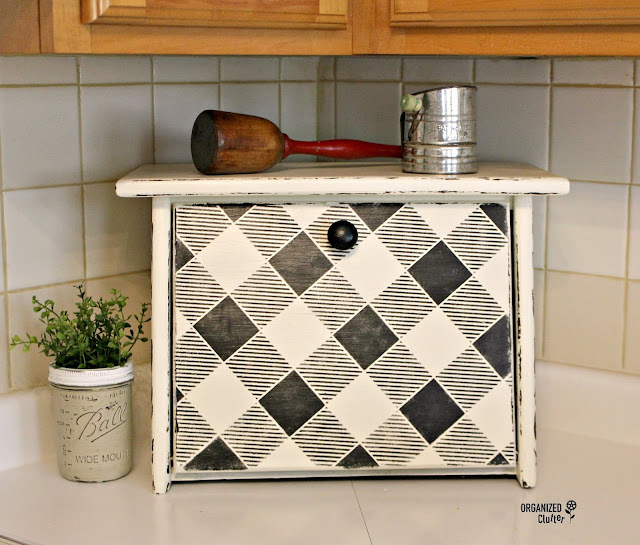 I used my FolkArt Layering Wood Block and Ceramcoat Craft Paint in Walnut Noyer to faux distress the edges of the bread box. 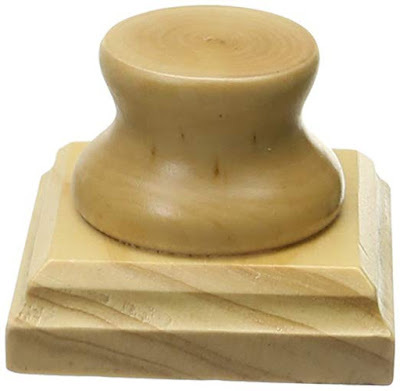 Tips on how to use the layering block can be found HERE. I sealed the paint and stencils with two coats of Varathane Water-Based Polyurethane in Satin Finish. I'm happy with the new look. My dining chairs have already been buffalo checked. I have four mismatched kitchen chairs with splat backs. 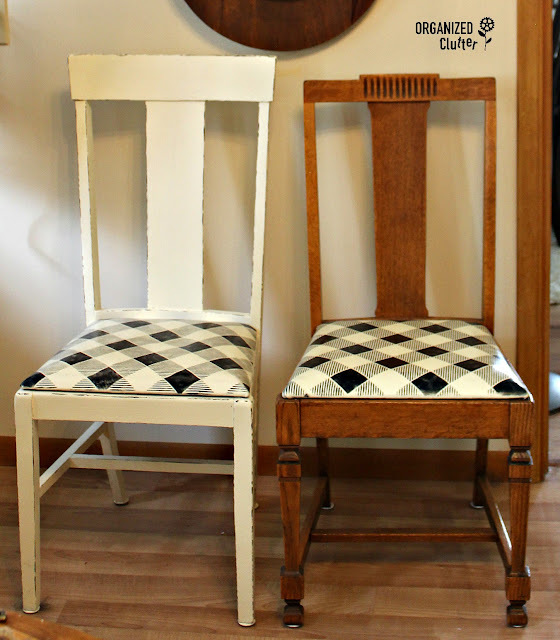 Two are white, and two are antique oak, all have buffalo checked seats. 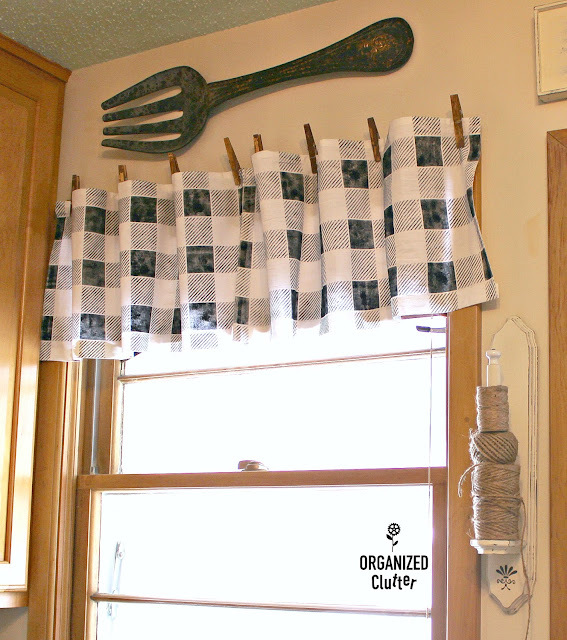 And I stenciled some NO SEW flour sack valances for my kitchen windows HERE. I lightly stenciled the black so the curtains look older and faded. 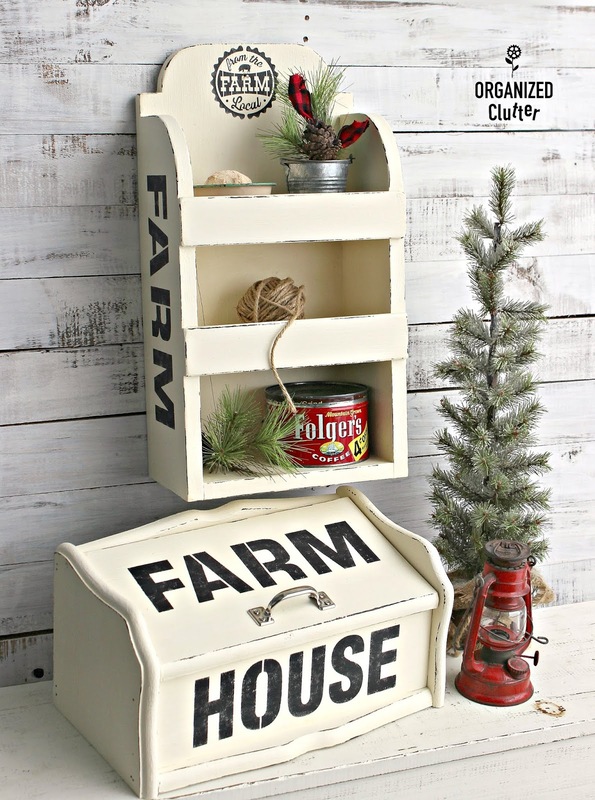 Have you upcycled any thrift store bread boxes? 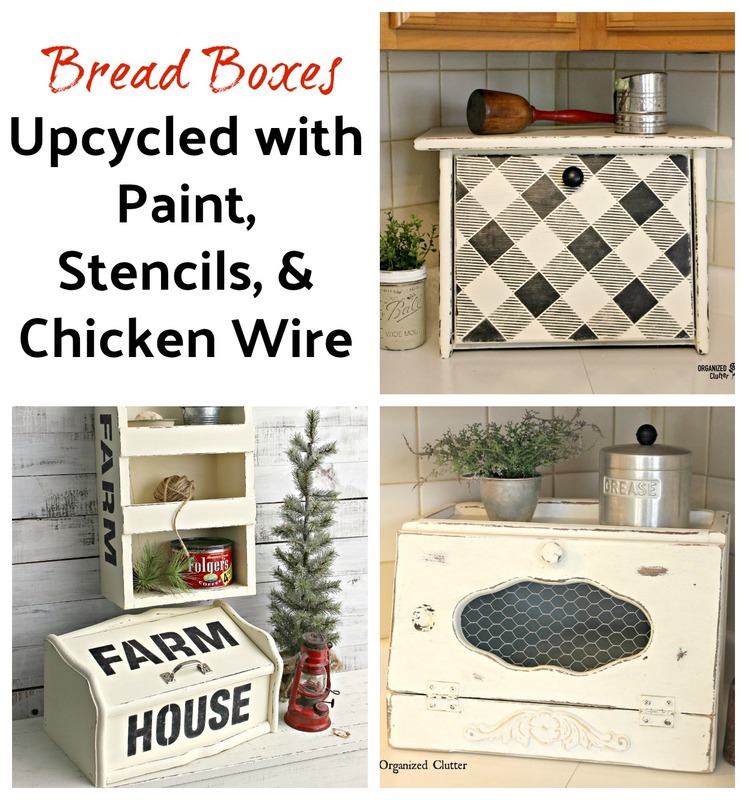 Details are here on this shabby chic style bread box. You will not believe the before pic. 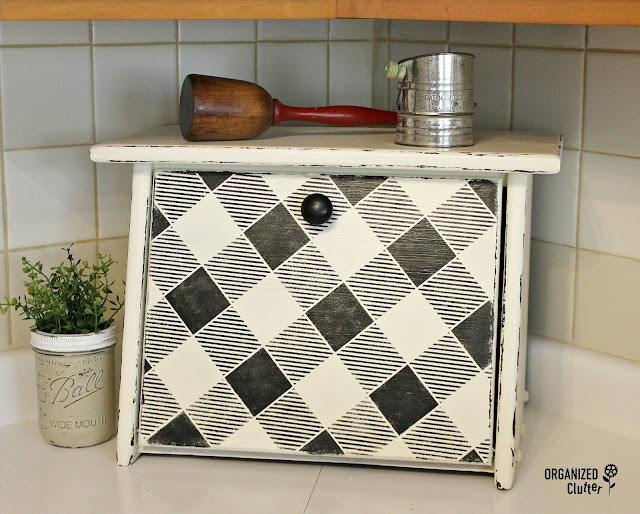 And details and the before photo on this farmhouse style bread box from last fall are HERE.